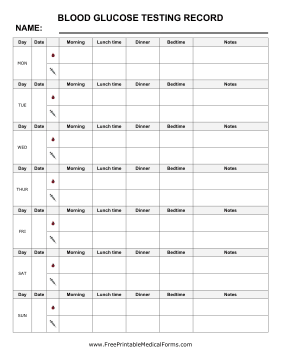 This blood glucose testing record includes four spaces for recording blood glucose and insulin injected, seven days a week. The names of the days are conveniently placed on the left hand side. Physical activity can also be documented using this form.